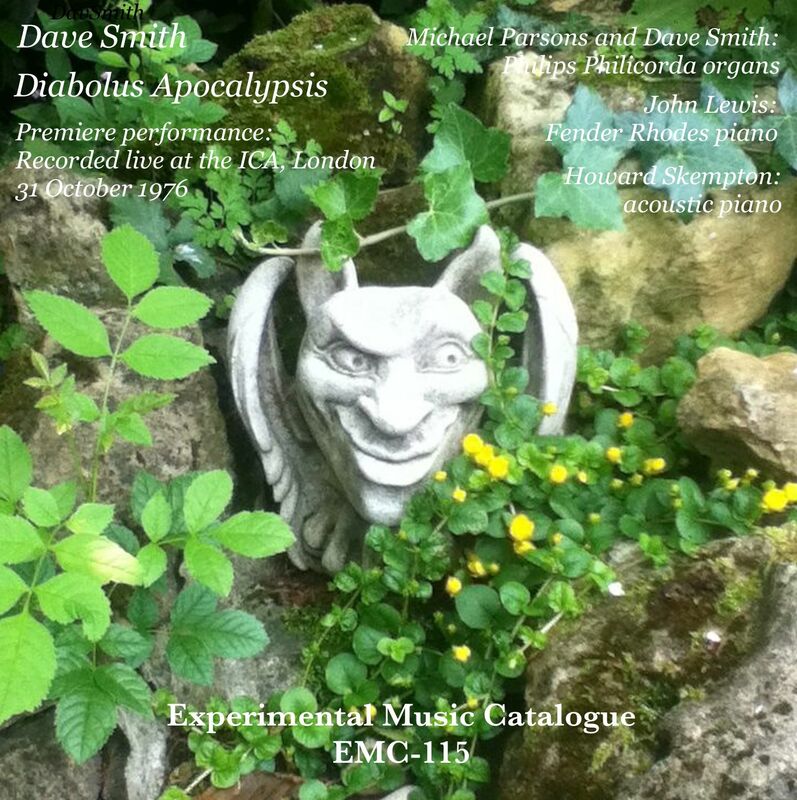 This is from the same ICA concert as Smith’s Moderation in Nothing, EMC-113, which we uploaded a while back. Like Moderation in Nothing, we’re releasing this as an EP single (23 minutes). The performers here form the entire group of composers whose music was on this concert — a rare collaboration of two of the great English systems music duos of that time, Parsons/Skempton, and Smith/Lewis (the other duo being Hobbs/White). This single is an archival gem, and as such has some limited distortion from the shock of the instruments on the live recording. You can listen online for a limited time for free, and can own it for £3 or over (a gift to help us continue to keep the EMC going and 10% to the composer in royalties). A purchase comes with a pdf download of a facsimile of the concert programme and a flyer for the series. The devil you say? Oh, yes, the devil we say!